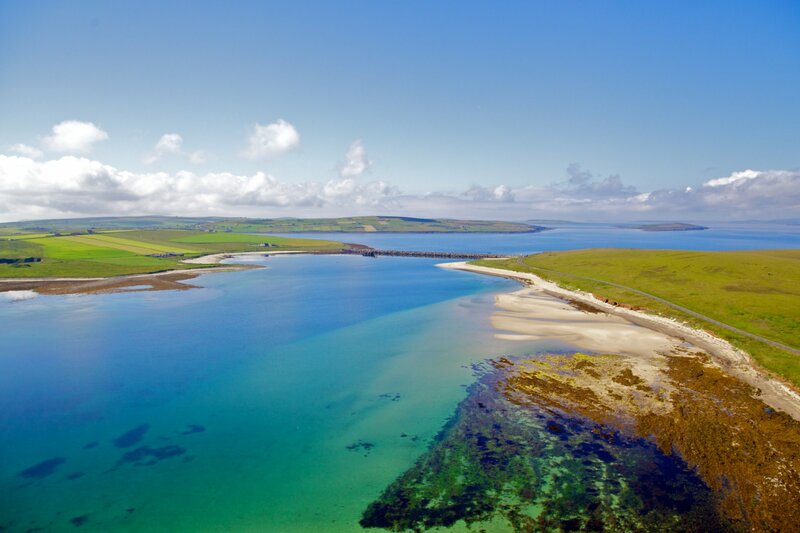 With more than 500 miles of coastline, there's always a perfect stretch of sand waiting to be explored in Orkney. What’s your idea of a perfect beach holiday? If it’s sun, sand and sangria you’re looking for, we might only be able to guarantee one of those here in Orkney. But there’s so much more to a visit to the seaside than topping up your tan! 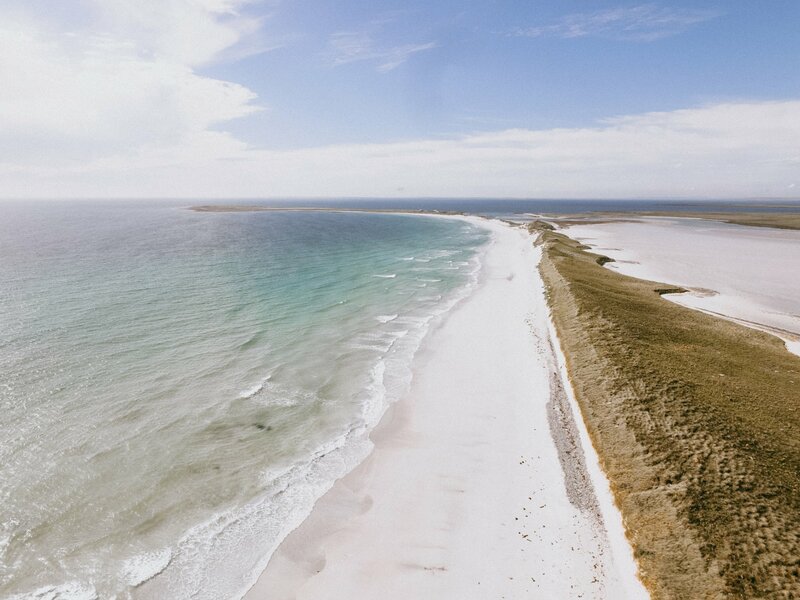 In Orkney, we have beautiful beaches that are perfect for all reasons, during all seasons. We’ve picked out some of our favourites for you. It’s an adventure just getting to this beach, found nestled amongst towering cliffs in this tiny crofting community. The route to Rackwick involves a ferry trip from the Orkney mainland and either a long walk through the hills of Hoy, or a stunning drive with views over Scapa Flow. The beach itself is a small patch of immaculate sand, covered in huge boulders, facing out into the wild Pentland Firth. Camp for the night at the nearby bothy and soak up the sound of the sea. This beach can be found tucked away alongside one of the Churchill Barriers, on Glimps Holm. Only a few metres from the road, you can be strolling on the sand just minutes after leaving your car. At low tide you can walk all the way back to the previous Barrier, with the crystal-clear water lapping at your feet. There are always small fishing boats nearby, with the rusting wreck of the wartime blockship, SS Reginald, sitting in the bay too. Even if the sun isn’t shining, Orkney’s beaches are still brilliant places to visit. Spend some time at Warebeth just outside Stromness after a westerly storm and you could find a beachcomber’s bounty, with fascinating finds washing up from as far away as Canada and the Caribbean. Of course, you’ll always have the view across to the hills of Hoy for company, too. Find out more about beachcombing in Orkney from our blog and video. The island of bays, Stronsay is perfect if you want to visit as many beaches as you can during your time in Orkney. Hire a bike for free in the village of Whitehall then use pedal power to head to the likes of St Catherine’s Bay, Mill Bay and the Sands of Rothiesholm, three incredible beaches all within minutes of each other in this peaceful island. Another island adventure awaits if you’re planning a trip to this stunning stretch of sand. 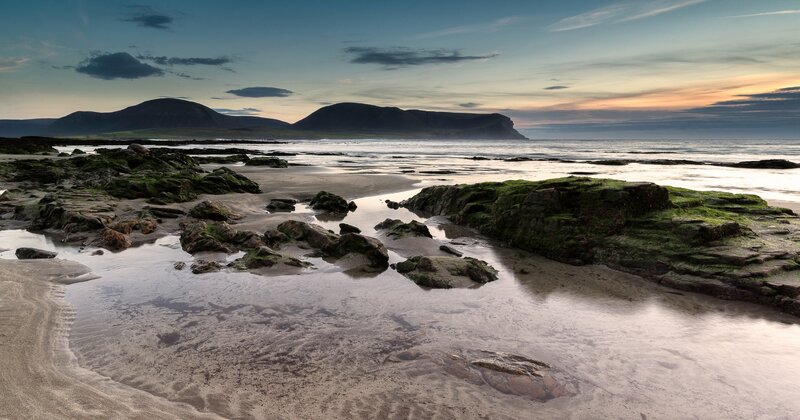 Eday lies at the heart of Orkney’s north isles, and this quiet beach on the west coast is well worth a visit. You could quite easily have the mile of white sand and turquoise water to yourself. Don’t forget to visit the tiny and deserted cove at the Bay of Doomy, just to the north. You’re never far from a fascinating historical site in Orkney. The Links of Noltland in Westray is an incredible archaeological excavation featuring settlements that date back to around 3000 BC, protected for generations by sand dunes. Nearby you’ll find the beach at Grobust, one of the finest in the north isles. Tick your history AND beach boxes in one visit – only in Orkney! You won’t find another beach like Tresness anywhere in Orkney. A thin peninsula of dunes splits a sheltered bay to the west and the North Sea in the east, with the sand snaking for what feels like miles northwards. Put simply, it’s one of the most beautiful beaches in the islands. 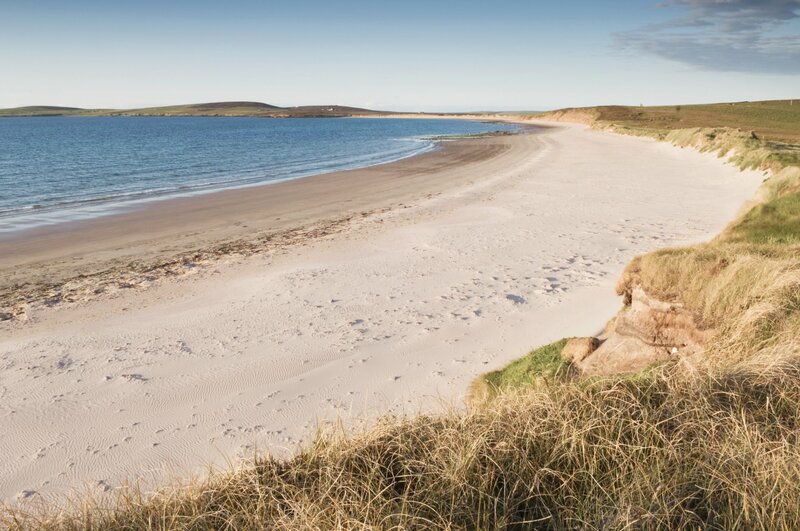 Explore more of Orkney's beaches with our special map. Visit our All Seasons page for videos, itineraries, ideas and inspiration on things to see and do across Orkney. Posted on , Visit Orkney, Life in Orkney, Leisure & Sport, Nature, by Andrew Learmonth.